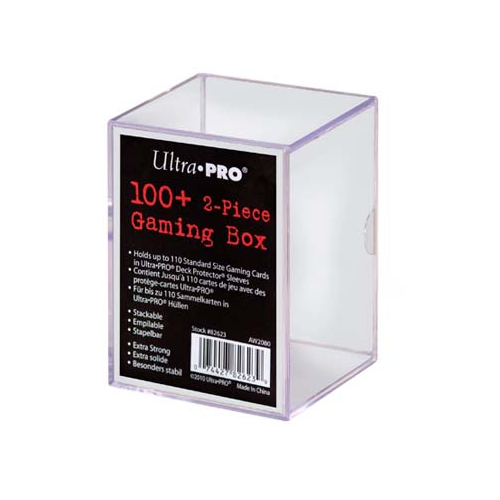 Durable clear box holds up to 110 Standard size gaming card in Deck Protector sleeve. Use vertically or horizontally. Slide-in construction and stackable. • Holds up to 110 Standard size gaming cards. • Extra strong and stackable.